TALLAHASSEE, Fla. -- Yesterday some of Florida's youngest residents gathered at the state capitol for Children's Day. Today, a much older crowd will gather in the same space. Today is Senior Day at the Capitol, and with around 4.8 million people age 60 or older living in Florida, the state's senior residents want to make their presence known to lawmakers. Healthcare and retirement are big issues, and organizers say this day is meant to try and put the issues facing Florida's senior residents at the forefront of legislators' minds. "We have a huge population of seniors here in this community that have the opportunity to have the capitol in their back yard," said Jason Zaborske of the United Way of Florida. "Florida Senior Day is for them, to celebrate them, to recognize them, and to raise awareness of their efforts with Florida legislators and policy makers." From 10 a.m. until 11 a.m. a senior town hall meeting will take place at Tallahassee City Hall. Between 11 a.m. and 2:30 p.m., a lunch and other entertainment is planned in the capitol courtyard. Guided tours of the new and old capitol are also available throughout the day. There are also shuttles to and from the event offered at the Tallahassee Senior Center. 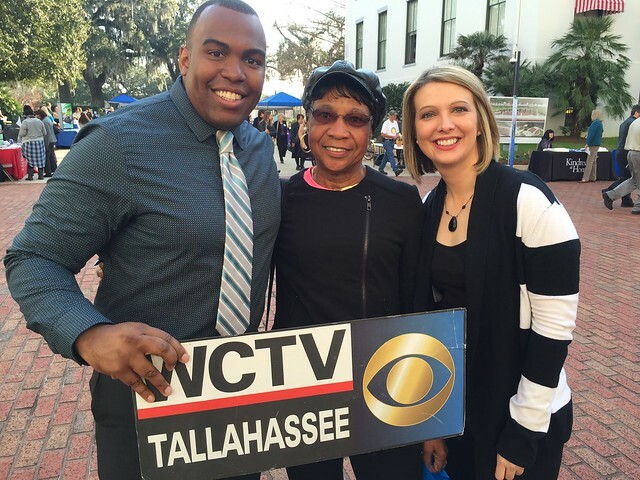 As a sponsor of the event, WCTV will have continuing coverage of the event right here on WCTV.tv and throughout the day on WCTV Eyewitness News.